Ladies and Gentlemen, start your engines! We have now nailed down the location for the 2013 SparkFun Autonomous Vehicle Competition - it will take place on June 8th, 2013 at the Boulder Reservoir. We are still hammering out some final details (including entrant and spectator signups) which will be forthcoming, but save the date! We hope to see you there! 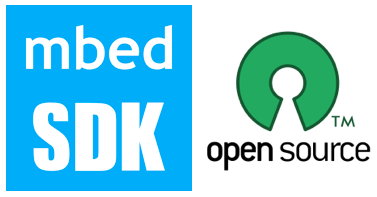 The mbed team announced a few days ago that their SDK, that is, the new mbed library, is open source. I'm sure more than a few folks had some reservations about such a previously closed system. For me, it'll be very educational with great examples on how to implement the mbed library of which I'm quite fond on LPC. They have extensive internals documentation posted up. I've scanned through it and I think it'll make a fascinating read. It will likely open the door for porting to other Cortex M chips and platforms as well. Think LPC1769, STM32F4, Stellaris, etc. My AVC 2013 preparations have begun. I have a list of improvements planned for my rover Data Bus to make it faster, more precise and accurate. I'll soon add the convenience of telemetry and FPV. Some changes are small but quite helpful. One such improvement is to I2C-ify my Sharp IR Rangers. First, I'm very honored that Bot Thoughts blog has been selected as one of the Top 100 Resources for Electrical Engineers. As usual, I have a number of irons in the fire. In prep for the 2013 AVC, I plan to add an Xbee radio to Data Bus, my autonomous rover, to implement remote telemetry and control. I must first free up a serial port on the mbed. I bought an I2C-based Digole LCD adapter to replace the rover's invaluable serial LCD. I discovered and repaired an mistake (the wrong 0603 resistor was installed) and now it works with I2C on the mbed. I'm currently porting the company-supplied Arduino Library to mbed while learning more about C++ inheritance and virtual member functions. I'm redesigning the Data Bus baseboard. It will be pro-fabbed after home-etching the first few iterations. It'll either be mbed- or LPCXpresso-based. Next version will get an onboard ARM, either LPC1769 or STM32. My Raspberry Pi telepresence rover is done. Or, at least the initial phase. I'll share more about that soon and document enhancements as I go, too. I'm also starting to gear up for STM32F4 development. I'm planning a machine-vision system based on the Toshiba tcm8230md camera. Some of the STM32 series have camera peripherals that should work with the this Toshiba 640x480 color camera. If a little ATmega8 at ~17MHz can run the AVRcam to track multiple colored objects, then a 168MHz STM32 with far more memory and the benefits of DMA should be able to do a lot more. On a related note I've been working on interfacing a Game Boy camera (Mitsubishi M64282FP) with a dsPIC33F and digging into assembly on that MCU. It's really quite fun. It's on hold for a little while but I'll get back to it soon. The mailbox notification project, using JeeNodes, is on the back burner but not forgotten. The eeZee Propeller is back in stock on the Bot Thoughts Store and the ATtiny24/44/84 Board should be soon. Same for the ATtiny2313/4313 boards. My eeZee Power usb breadboard power module is funded and then some. Cool. The fundraiser microSD boards will be delivered in the next few weeks, populated, and sent to supporters. I'm also working on a a couple new products: a Sharp IR Ranger I2C adapter and a VGA breakout adapter for Propeller. That does it. I give up. I'm writing this within Windows Vista. When you spend two hours trying to get any kind of stupid serial terminal emulator working, and wind up not getting any of them working, something is not right. I almost gave up. Trying to flash my STM32F4 Discovery has been a nightmare. The stlink code I found didn't seem to work reliably for me. At long last I discovered OpenOCD does work. Then realized that it was mass-erasing the chip before flashing. Trying that with stlink works better. But I'd rather erase only what's needed. So, still struggling but at least there's hope of developing on STM32 on Linux. Meanwhile I discovered something that would be painful to do in Windows (I think), emulating a TimeCapsule. Using netatalk 2.2 (apt-get install netatalk) I followed this guide but ignore the bit on Avahi and use the tm option on your volume. ...with the intent of never going back.